You can be confident! We have been packaging HIGH QUALITY GROUP TOURS for almost 50 years! Save 5% off brochure rates when you pay in full at least 60 days prior to departure. 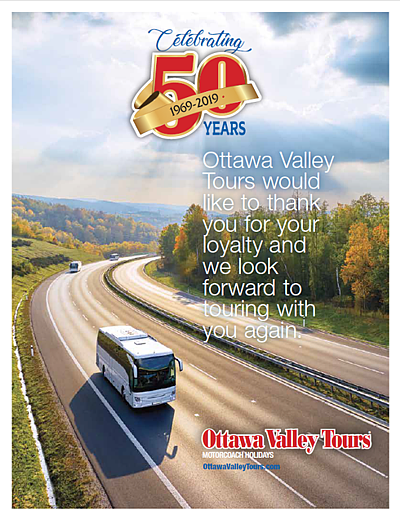 of being an Ottawa Valley Tours GROUP LEADER for your Service Club, Family Reunion, Church, Association or Sorority, Apartment or Condo Complex. Special Group pick up locations are available. Call for Details.